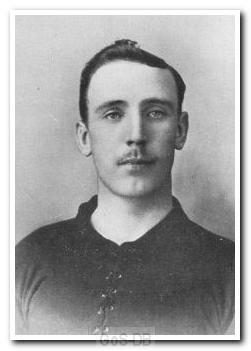 Johnson was born in Tibshelf and started his career with local side Ripley Athletic, before joining Aston Villa in 1905. In the summer of 1906 he moved to Home Park but struggled to dislodge John Sutcliffe from his position between the posts and left after just one season, despite the Argyle handbook stating that he was "tall, alert and keenly observant to Football contingencies. Argyle are lucky to obtain such an embryonic champion". Moving on to Crystal Palace, Johnson spent almost eight years with the club, making close to 300 appearances before the First World War interrupted his career. He was also selected for the Southern League representative side three times. When hostilities ceased Johnson had one season with Nottingham Forest, playing 53 times, before ending his career with Sutton United.